James Jameson used his power and privilege to do the unspeakable — and get away with it. Universal History Archive/UIG/Getty ImagesJames S. Jameson, heir to the Jameson Irish Whiskey fortune. 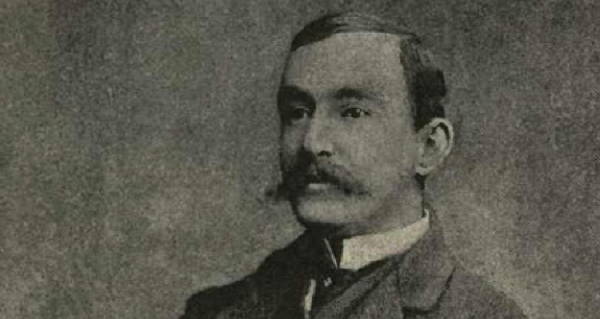 In the 1880s, an heir to the vast Jameson Irish Whiskey fortune bought a 10-year-old girl just so he could draw her being eaten by cannibals. In 1888, he joined the Emin Pasha Relief Expedition, led by renowned explorer Henry Morton Stanley, across central Africa. 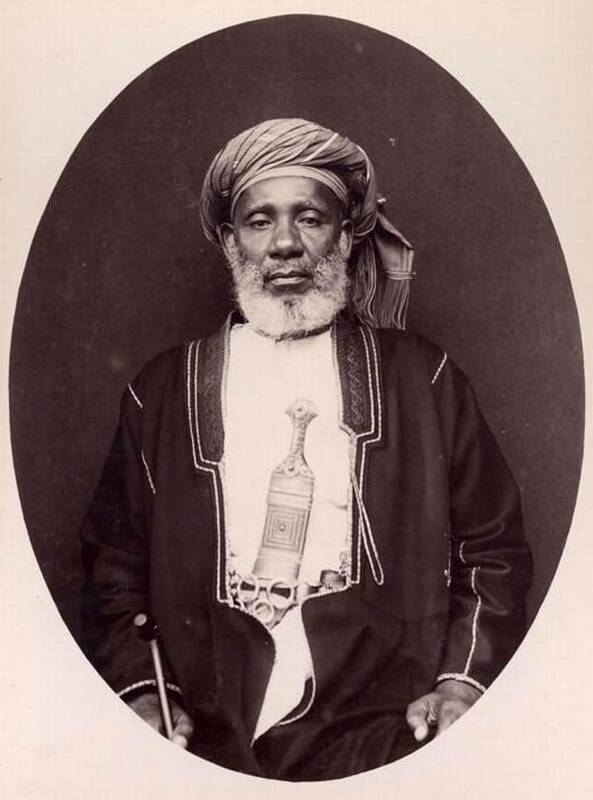 The journey was ostensibly to bring supplies to Emin Pasha, the leader of an Ottoman province in Sudan that was cut off by a revolt. In reality, the expedition had a second purpose: to annex more land for the Belgian Free State colony in the Congo. It was on this expedition that James Jameson would commit his unspeakable crime. 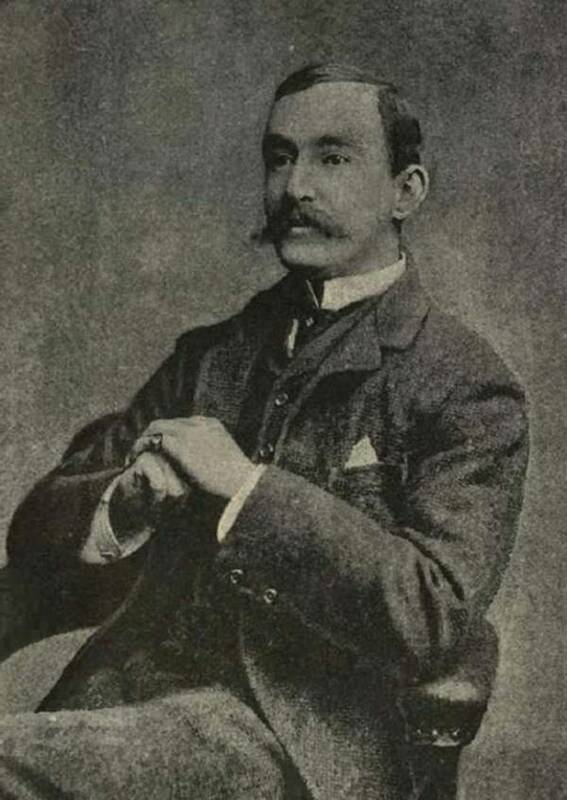 Varying accounts exist of the incident, from Jameson’s diary, his wife, and a translator on the trip, but what they all agree on is that by June 1888, Jameson was in command of the rear column of the expedition at Ribakiba, a trading post deep in the Congo known for its cannibal population. They also say that Jameson were dealing directly with Tippu Tip, a slave trader and local fixer. According to Assad Farran, a Sudanese translator on the trip, Jameson expressed interest in seeing cannibalism first hand. Wikimedia CommonsTippu Tip, a famed slave trader who worked in the area. Farran would later tell Stanley, when he returned to check up on the rear column, his account of the events, and would later recount them in an affidavit that was published by the New York Times. He said that Tippu then talked to the chiefs of the village and produced a 10-year-old slave girl, who Jameson paid six handkerchiefs for. Both of them also agree on another count: the girl never screamed throughout the ordeal. 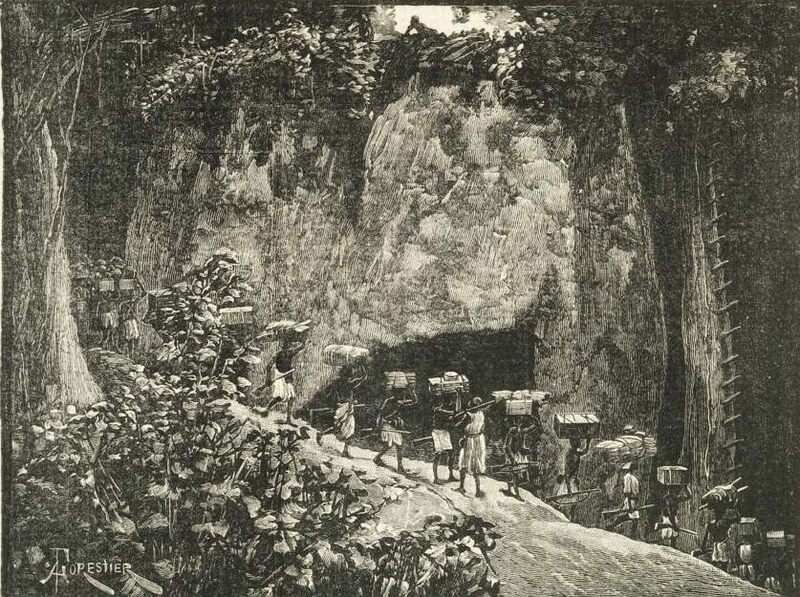 Universal History Archive/UIG/Getty ImagesDrawing of the Emin Relief Expedition on its way through the Congo. “The most extraordinary thing was that the girl never uttered a sound, nor struggled, until she fell,” wrote Jameson. In his account in his diary and his wife’s later account of the incident, the two attempt to play it off as though Jameson went along with the proceedings because he believed it be a joke, and could not imagine that the villagers would actually kill and eat a child. 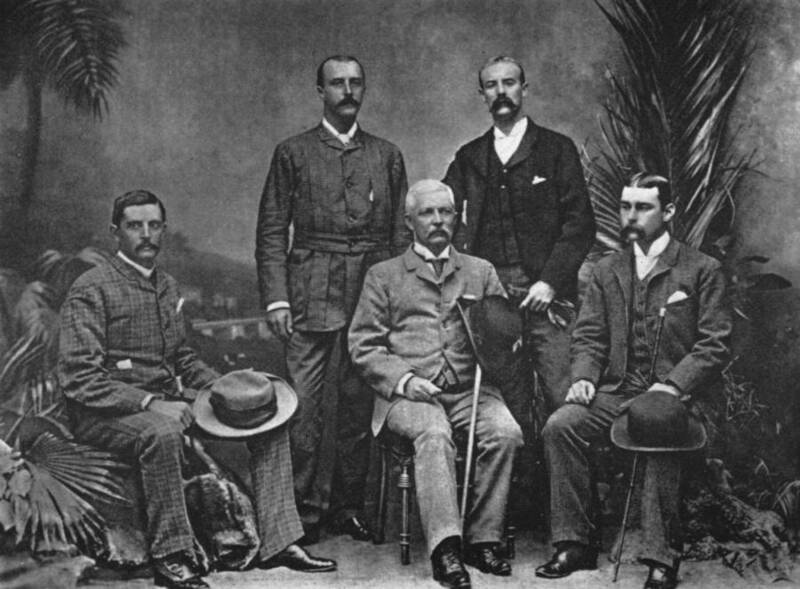 Wikimedia CommonsHenry Morton Stanley (center; seated) with the officers of the Advance Column of the Emin Pasha Relief Expedition. However, this account fails to explain why Jameson would pay exactly six handkerchiefs, likely an amount he would have had to procure, for something he didn’t believe would happen. It also fails to explain why he even attempted to sketch the horrifying event after the murder. 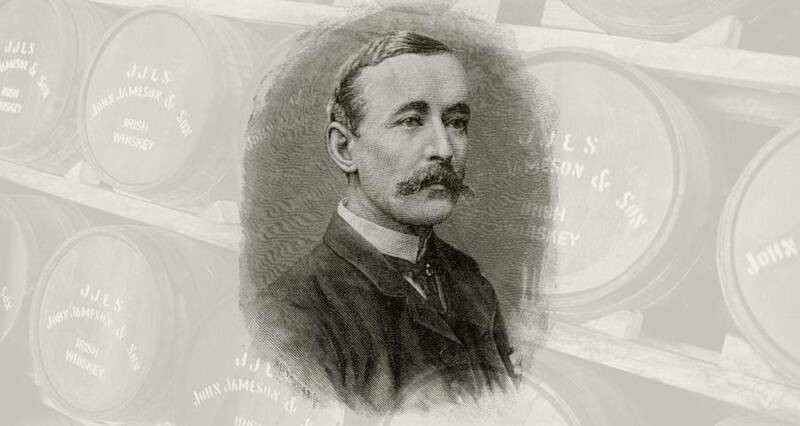 Likely, the account of his crime is true, but James Jameson never faced justice. He died shortly after the accusations of his misconduct made their way to to Stanley in 1888 from a fever he had contracted. Jameson’s family, with the help of the Belgian government, were able to hush up many of the atrocities, this mission became the last of its kind. Non-scientific civilian expeditions into Africa were suspended after this time, though military and governmental ones would continue. All because of the crimes of a whiskey heir and the brave interpreter who told the world what he did. After this look at James Jameson’s crimes, read the chilling story of Japanese cannibal killer Issei Sagawa.